Lavrov said that Russia proposes to introduce not the UN forces to the Donbas, but a mission to protect the OSCE. The Russian Federation proposes to introduce not the UN forces to the Donbass, but a mission for the protection of OSCE observers, according to the Minister of Foreign Affairs of Russia Sergey Lavrov. Lavrov made a corresponding statement during the talks with French Foreign Minister Jean-Yves Le Drian. "It's not the UN forces, it's precisely the mission to provide the protection of OSCE observers. It is in full compliance with the logic of the Minsk agreement," Lavrov said. 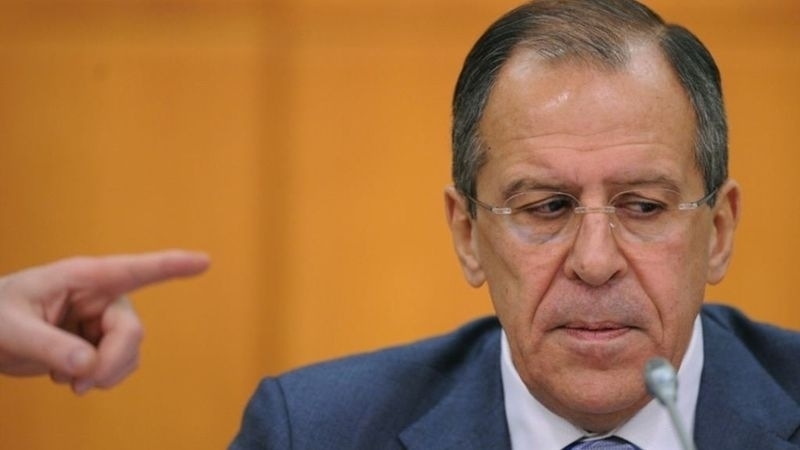 Lavrov further claimed that "the composition of the security mission will be determined by the parties to the conflict, that is, Kyiv and regions of Donetsk and Luhansk," again meaning that the conflict is a Ukrainian internal one. Previously QHA reported that September 5 the Russian President Vladimir Putin said that the presence of UN peacekeepers in the Donbas would facilitate resolution of the conflict in the southeast of Ukraine, and instructed the Russian Foreign Ministry to submit the draft resolution to the UN Security Council for consideration. The Ministry of Foreign Affairs of Ukraine criticized Putin’s statement, saying that the words of the Russian president testify to Russia's next attempt as a party to the conflict to present its aggression as an internal Ukrainian conflict and distort the very idea of conducting a peacekeeping operation, which in that case will not serve the main goal of establishing peace in the Donbas and restoration of the territorial integrity of Ukraine. The President of Ukraine, in turn, stated that the introduction of a peacekeeping mission in the Donbas should aim not at the freezing the issue of Russian occupation and legalization of Russia's presence in the Luhansk and Donetsk regions, but in ensuring a lasting peace in certain regions and the full restoration of the territorial integrity of Ukraine. Moreover, the UN mission should be deployed throughout the temporarily occupied territory, including an uncontrolled section of the Ukrainian-Russian border.